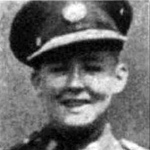 Private William Ritchie died during operations in North Africa. 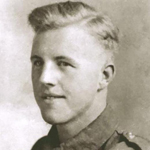 Lance Corporal George Rogers died during operations at Bizerte, Tunisia. 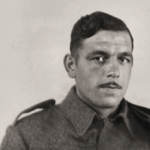 Private Alexander Sutherland died during operations in North Africa. 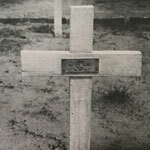 Fusilier William Taylor died of wounds inflicted at Kangaw. 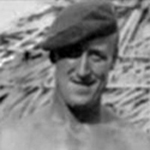 Private Edward Tomblin died during the raid at St Nazaire. 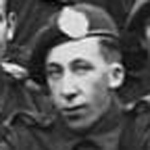 He was one of the commando contingent on ML 306. 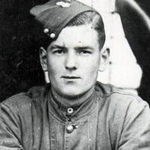 Private Ivan Tucker died during operations at Kangaw. 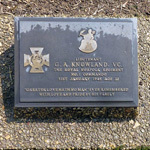 Cause of death recorded here Winchester Reunion of No 1 Commando . 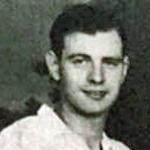 Corporal Reginald Wallis died during operations at Kangaw. 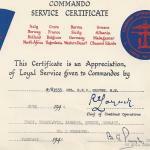 He received a MiD in recognition of gallant and distinguished services in North Africa. 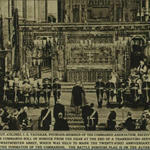 There is a photo that may be of him in the gallery HERE. 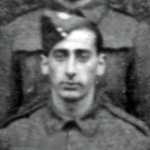 Private Robert Watts died during operations at Kangaw. 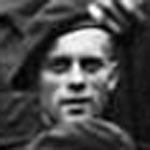 Private Ernest Webber died in India as a result of an accident whilst swimming. 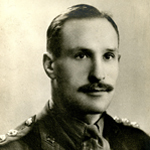 Londa Astoli 12 May 1945. 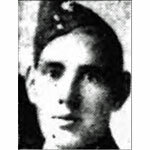 Pte Webber (6 tp) who injured himself whilst swimming died in C.M.H. Belgaum. 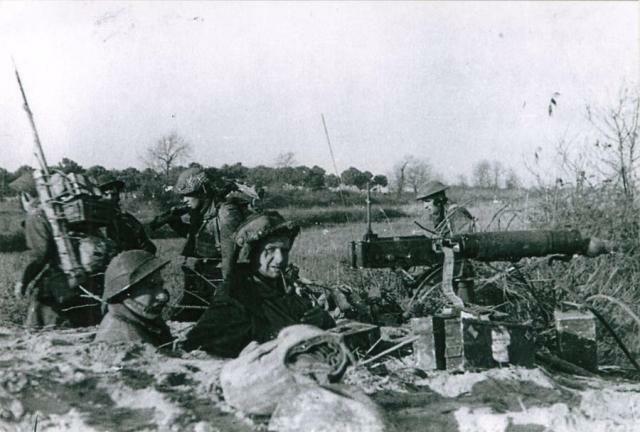 Bearers and Firing party provided by 6 tp for the funeral of Pte. Webber at BELGAUM. No 1 Commando War Diary May 1945 National Archives file WO/218/81. 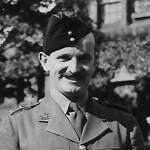 Fusilier Graham Wilson died during operations at Kangaw. 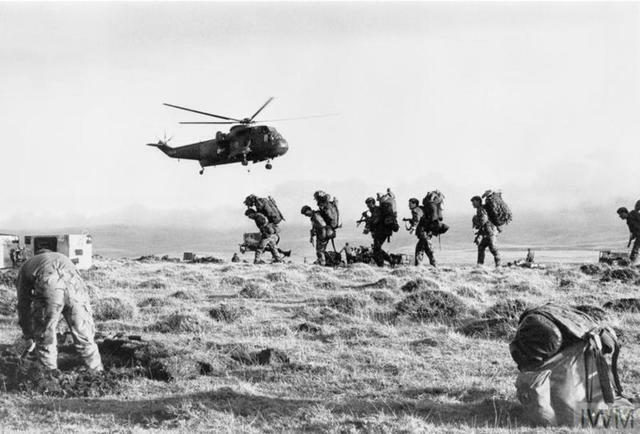 Lance Corporal James Young died during operations at Kangaw. He is mentioned in this report about the battle. [view].